As New Zealand’s gambling regulator, we work to ensure New Zealanders can enjoy safe and fair gambling that efficiently and equitably contributes to community wellbeing. Read Gambits for information about the Department's recent work and significant issues in the gambling sector. We regulate, audit and investigate all casino and non-casino gambling. We issue certificates of approval for casino employees and non-casino gambling licences. The classification of gambling is based on the amount of money spent and the risk of problem gambling associated with an activity. These activities include: Housie, lotteries (i.e. raffles, sweepstakes) games of chance, prize competitions (including calcuttas) and instant games. We work closely with the gambling sector and problem gambling treatment providers to prevent and minimise harm. Casino licensing, employee certificates of approval, game rules, and minimum operating and equipment standards for casinos. Non-casino gaming machines in pubs and clubs must be operated by a corporate society and to raise money for community groups and non-commercial purposes. All gaming machines in pubs and clubs must be connected to the EMS, which tracks and monitors operations. All licensed gambling equipment must comply with minimum standards made under the Gambling Act 2003. Information for gaming machine societies, venue operators, casinos, sector organisations and the community in general. 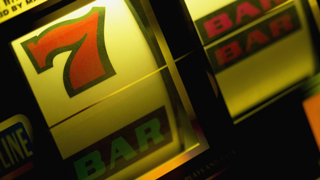 Numbers and types of societies licensed to operate gaming machines at approved venues. Annual expenditure statistics on the four main types of gambling are also available. We're frequently consulting on ways to improve compliance with the Gambling Act and on the development of new rules. Class 3, Class 4 and Casino Gambling licence application forms and guidelines are available online for you to download. Certain types of gambling and the promotion of overseas gambling is illegal in New Zealand. The laws are enforced and penalties can apply. Information about gambling compliance audits, self-assessment reviews, leniency and cooperation policies, infringement notices and more. Information for territorial authorities reviewing their gambling venue policies. Call the Gambling Group on 0800 257 887 or contact one of our regional offices. Gambling and lottery activities provide funds for community groups through grants. Application forms are available from societies (typically via a website), some community networks such as Citizens' Advice Bureaux, and often at gaming machine venues. You must send your application directly to the society and not through a venue. The society must deal with you directly and not communicate with you through the venue.